Produced by Ogino, in Yokohama (Japon) in 1960, this movie camera is equipped with a lens Cinekon 1:1,8 13mm. It weights 0,550 kg. and its measures are the following: 30x133x107. 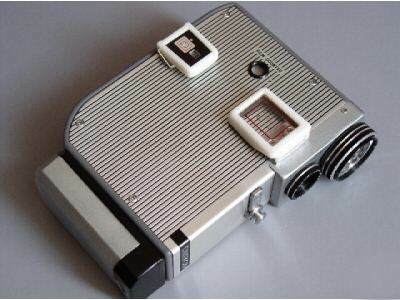 Light and compact, the camera has a grey metal body. It is rare, but its value is low.